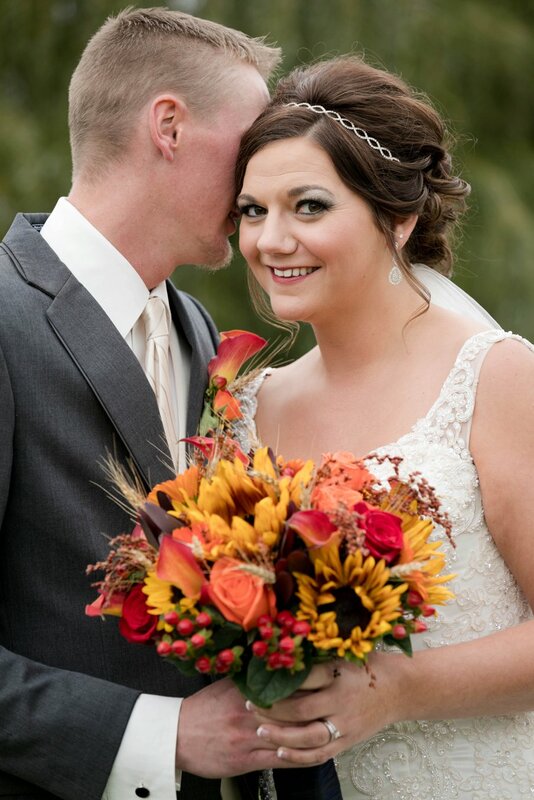 Even in these cold winter months, I find myself still thinking about this beautiful autumn wedding. From bridal suite to the big reveal, to group photos and the sharing of vows, every moment of Ben and Annie’s nuptials was wonderful and it was a pleasure to be a part of their special day. The small, intricate details on a dress, bag, or pair of shoes often go unnoticed by most attendees, but as a photographer, these details are what I love paying attention to most. Annie’s shoes, garter, and handbag were nearly as photogenic as the bride, groom, and wedding party! 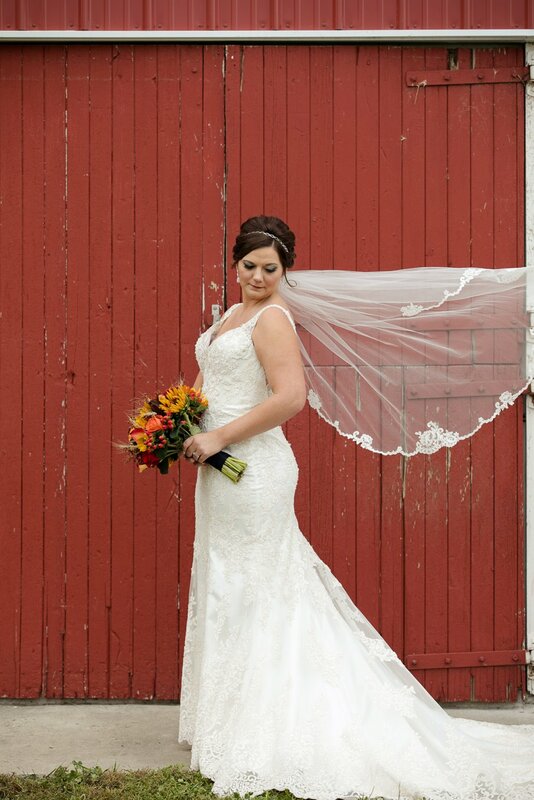 I was able to experiment with bold, black and white photography while Annie got ready in the bridal suite, and contrasted those photographs with those that featured a bright pop of red from the old barn outside—at least when it wasn’t raining. 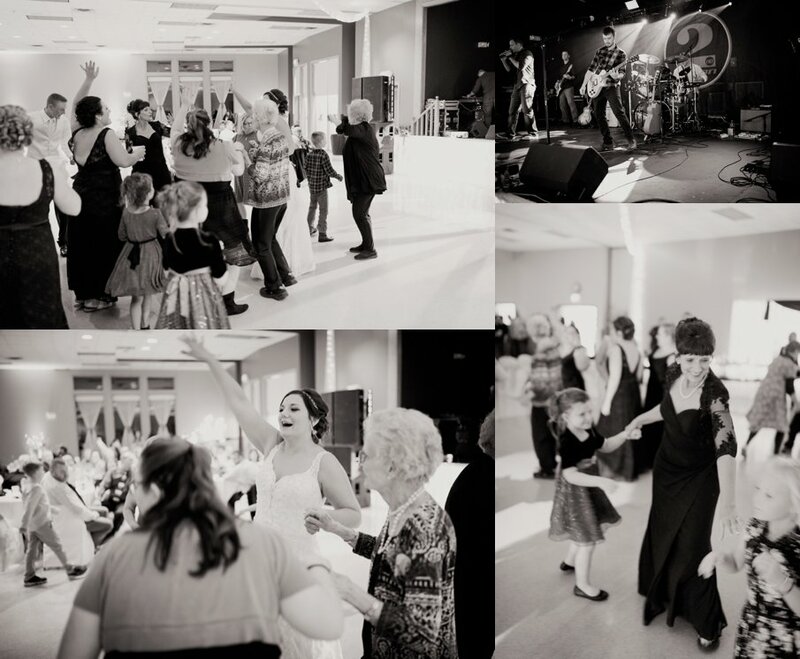 Despite the rain clouds that eventually invaded the party, Ben, Annie, and their family and friends were all in good spirits watching the couple say ‘I do’ and celebrate the beginning of their new life together. What’s more, Annie and Ben got married in the same church Annie’s parents were married in, adding another layer of emotion to an already emotional day. The reception was held at the Arlington Event Center where Annie works. It’s safe to say this couple was surrounded by everyone and everything they loved when they tied the knot, and I loved capturing the details on camera.